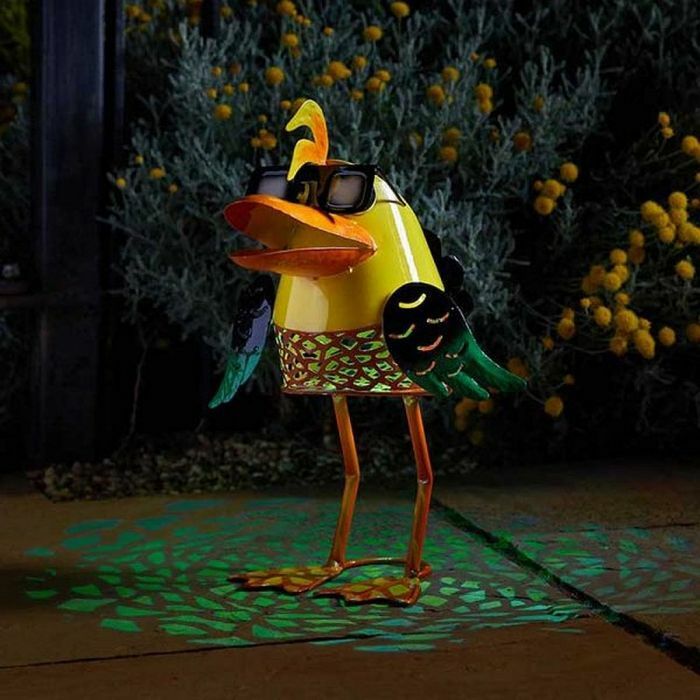 Fun and funky metal duck with beautiful cut out detail. This garden ornament contains an LED light transforming into a silhouette at night. Perfect for decorating patios and decking. Lasts up to 6 hours once fully charged.